Stream Cut Copy's New Album, 'Haiku From Zero' The Australian dance-rock veterans return with their finest album in years. 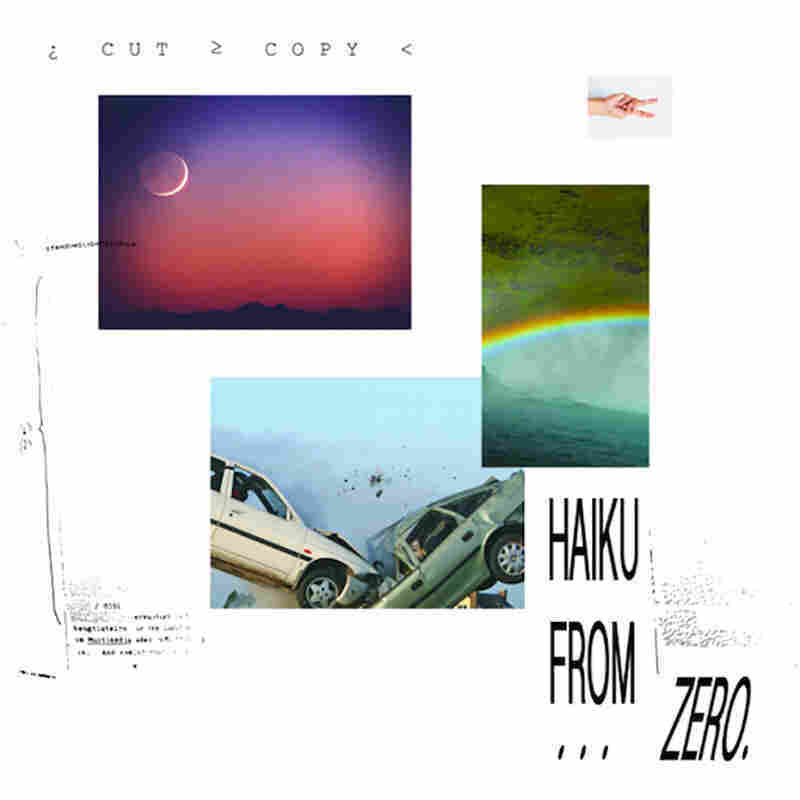 Pre-Order Cut Copy's Haiku From Zero before its release Sept. 22. Last September, Cut Copy halted the making of their fifth studio album Haiku From Zero to record and release January Tape, a delightfully unexpected collection of ambient instrumentals captured in meditative studio sessions. For the band, it was a much-needed break and an excuse to surprise their fans. For listeners, it was a peek inside the group's creative process. But it wasn't, as some predicted, a taste of the new album. In fact, Haiku From Zero (out Sept. 22 on Astralwerks) is the band's busiest and hungriest release yet. Trading the acid house grooves of 2013's Free Your Mind for a more experimental and band-oriented sound, they fuse tropical rhythms, Afrobeat textures, twangy surf-rock and blissed-out disco with flickers of new wave gloom. Cut Copy are masters of '80s revivalism, so these aren't entirely new ingredients, but the arrangements feel fresh and adventurous. Consider the pitter-pattering percussion in "Standing in the Middle of a Field," which sounds like a synth-pop spin on early '80s Brian Eno. And the swirling, colorful ambiance of psychedelic epics like "Airborne" and "Living Upside Down" feels like Tame Impala infused with Daft Punk's electro-funk. It's magnificently ambitious and a little overloaded; a complicated album for complicated times. Frontman Dan Whitford explained in a statement that Haiku's frenetic energy was inspired by the swarm of information that inundates us everyday. Sometimes it feels like too much, he said, "but there's a weird, random beauty in it." "Tied to the Weather," Haiku's dramatic final track, is full of weird, random beauty. It came to life when Whitford pitched his voice at different octaves and pieced together a melody using samples. He later added guitar and drums to bring the song up to speed but found himself in "soft rock territory," without mystery, starkness or edge. It wasn't until he heard Nine Inch Nails cover David Bowie's "I Can't Give Everything Away" that he resolved to let the song breathe. The final version is little more than a chopped-up a capella. Recorded in Copenhagen, Washington, D.C., New York, Atlanta and Melbourne, Haiku From Zero paints a picture of a paranoid world turned upside-down. "Lasers in the sky, they wake in the night / Keep us satisfied, so much to show you," Whitford sings on "Living Upside Down," a psych-rock anthem about powering through tough times. And, really, what choice do we have? "I want to forget / But no one forgets / Everything is kept / So hallelujah." Careful not to sound too clean or precise, the band nimbly shifts between minor-key verses and major-key choruses, melancholy and euphoria, reality and escapism. And there, in the thick of prodigious extremes, the members of Cut Copy find their sweet spot.